The empire has started to get a little more strict about their rebel hunting policies. Now they require all households to show their allegiance by adorning the front of their house with imperial symbols so they know that you don't support the scum. Initially they started handing out government issued flags or signs to put up, but they soon noticed a lot of unrest and a decrease in the housing market within the empire, because these signs were such an eyesore. They quickly came to us to help design much more festive themes that would look great, but also not betray the great emperor. This Star Wars decoration will be a great addition to your home this season. If any Imperials happen to be patrolling the neighborhood, they'll know that you pledge your allegiance to The Empire, and they won't have to stop and force choke hold you. Now, if their are Jedi out trick or treating they might just skip your house... but you don't really want to deal with any Rebel scum anyways. 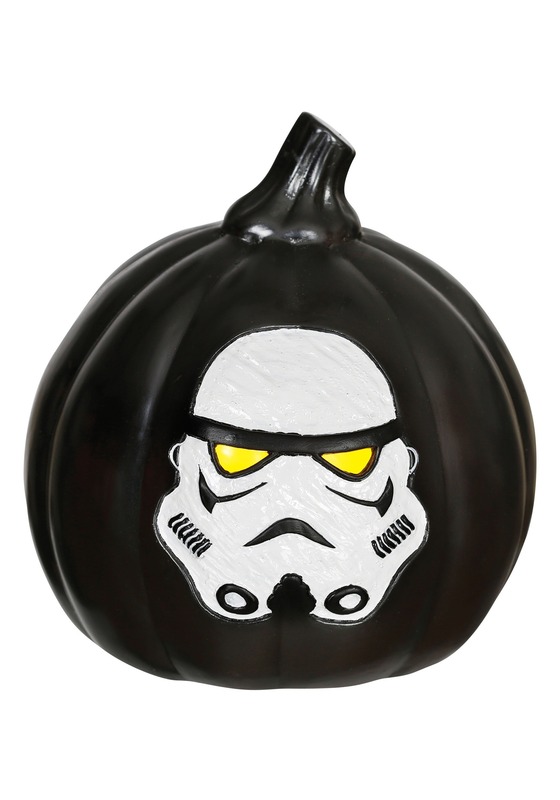 Set this pumpkin up for some fun straight from a galaxy far, far, away!